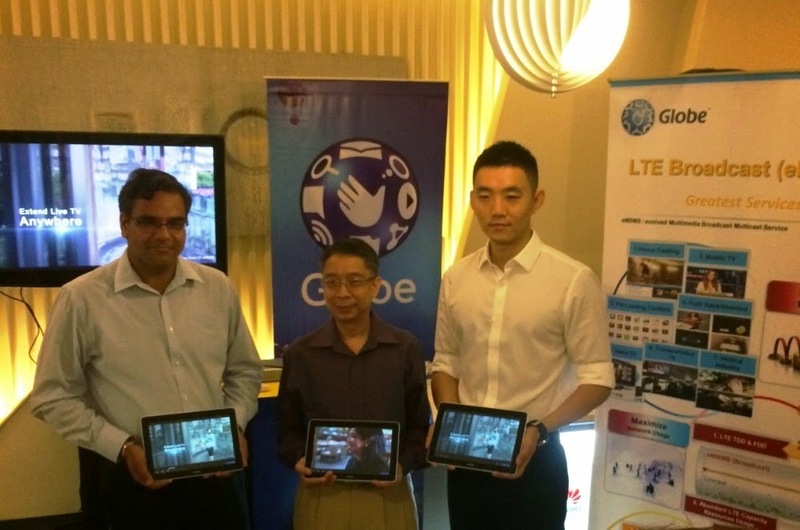 Globe is set to take 4G LTE into newer heights with its unveiling of the latest LTE technologies – the LTE CA and the LTE eMBMS. This will enable the telecommunications provider to stay ahead of its customers’ data requirement amid increasing use of bandwidth-intensive applications during its celebration of Innovation Month in line with its advocacy to promote and develop innovative products and services. Globe showcases their LTE-CA technology with speeds of up to 220 Mbps and the new LTE Broadcast (eMBMS) in a demo led by Globe Head for Network Technologies Strategy Manny Estrada and Senior Advisor for Product Planning Ashish Pilani together with Huawei Senior Account Manager Jordy Cao. “The LTE CA technology would translate to improved data rates and broadband capacity for Globe wireless broadband network and result to high-speed mobile data access. This helps address the demand for data-heavy multimedia applications which are becoming more and more popular. This means that our customers will experience faster data connectivity in areas where this will be implemented as LTE CA becomes commercially available in the near future,” said Emmanuel Estrada, Globe Head of Network Technologies Strategy. LTE CA has an average throughput of around 220 Mbps with a total 20 MHz of spectrum and initial tests conducted by Globe in April this year showed a maximum speed of up to 230 Mbps, Estrada said. Growing popularity of smartphones and other mobile devices has led to customer preference for mobile multimedia and video service. However, multimedia applications require large bandwidths and generate large amount of data traffic, quickly exhausting bandwidth resources of mobile operators. “The LTE Broadcast solution addresses such challenge as it enables transmission of live video contents to a large number of users without using huge amount of network resources. The technology enables a more efficient use of a mobile operator’s bandwidth resources, allowing customers to enjoy seamless video services in a wireless communication network,” Estrada said.